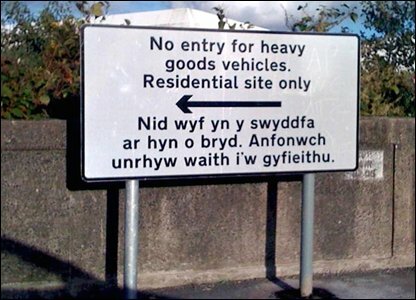 In Wales, all official signs must be in English and Welsh, as in the picture above. So the government wrote the English, then emailed the translator for the Welsh translation. The response came back and they printed the sign.